if i talk about outstanding outdoor and portrait shots, i'll definitely refer you to Allan and Oggie. dispatched to photo assignments oftentimes featuring landscapes and people. beyond these, great stories always came along with it. here to feature my two good friends and their brief travel profile. 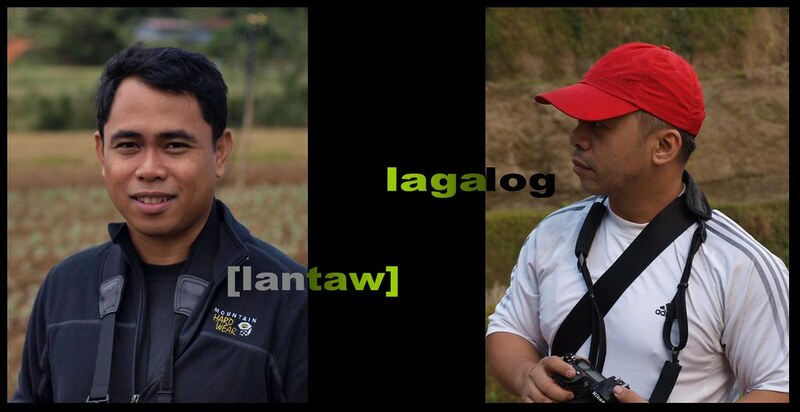 camera item/s lost in a trip book "the shack"
astig tlga ng encuentro series.. haha.. ka-abangabang ang bawat face-off. thought to myself re longest train ride: taft to north edsa. aliw yung aliw as a driver, all treks, and pa-sosi tasteless food ni Oggie! Outstanding. You are a good friend and colleague. i like oggie's answer to the last question the best. so true so true. Nice of you to promote your friend's blog. Have a nice weekend. meet Allan alrdy and he has excellent sunset and sunrise shots. gusto ko din ma meet si Oggie one day, idol ko yan eh! :) nice one Dom. and congrats pala sa PBA! at sa tv appearance mu. pa autograph! Whoever wins this award is deserving, they both are of course, the encuentro is really a close and tough decision for judges to make. Congratulations even for the nomination! two of my idols and best buddies. astig. i am honored to know these two guys and be with them on trips. sakit mawalan ng camera nung kay lantaw! kakatawa naman yung 'pasosi' food ni oggie. hehe. awesome encuentro. mga bigatin sa photography! astig! lol on the pasosi food ni lagalog. congratulations on these two for being finalists in this year's PBA! bukas na 'yon, dom! btw, i like oggie's answer to worst food eaten! natawa ako! parang face-off ang eh, pero parehong magagaling! Oggie's worst food eaten speaks for many people. I didn't see it like that, but that's true! I'm a fan of his blog. Kickass photogs! Natawa ako sa "memorable item/s given/bought on a trip". Hihi. Ayos! mga idols ko yan sa photog!